Workplace stress is a serious concern for nurses, with impactful consequences for individual nurses’ health as well as patient care, burnout, and turnover. Usually stress is talked about as an individual problem. Solutions proffered by employers generally focus on self-care and stress relief, “I have to make the situation work”, and individual therapy/mental health treatment, “There must be something wrong with me”. Registered nurses are responsible for and accountable to practicing safely, competently, ethically, and compassionately in accordance with their scope of practice. This class will look at how workplace stress can be a barrier to that responsibility. We will look closely at the fundamental sources of physical, mental, and moral stress in nursing — including understaffing and under-resourcing, amongst others. In looking at the bigger picture of workplace stress, we will identify effective solutions to nurses’ workplace stress. Articulate root causes of nurses’ work-related stress. Describe how a stressful workplace affects patient outcomes. Discuss the relation between stress and organizational constraints. As a nurse, maybe you work in the same community in which you were born and raised. Or, maybe you’ve traveled to your current facility from another neighborhood, another state, or another region of the world. In all these cases, nurses reflect the communities they care for. As patient populations become increasingly diverse, nurses combine on-the-ground community knowledge with the global perspective that’s needed to care for their patients. This course will examine the role of RNs as global citizens. We will investigate how the nursing profession responds to an international “crisis of care” by pitting the values advocacy and compassion against the exploitative systems their patients face every day. From a historical standpoint, we will explore the ethical challenges and solutions that nurses have faced since the inception of the profession. We will also draw more modern comparisons between RNs and other global caring professions in order to understand how nurses are part of a broader struggle for care, health equity, and justice. Identify how global migration patterns shape patient and caregiver communities. Explain how the nursing profession responds to the needs of a global crisis in care. Enumerate the social and economic conditions faced by over 19 million nurses across the globe. Articulate why the public holds trust and faith in nurses and how nurse ethics can continue to foster confidence in the profession. Describe the connections between RNs and other care professionals who form a global movement for care justice. All class times 9:00 am – 4:00 pm, additional hour available. Nurses are on the frontlines of our acute healthcare crisis. They see the impact of our current healthcare system—driven by the private insurance industry, for-profit hospital systems, and big pharma—on their patients every single day. 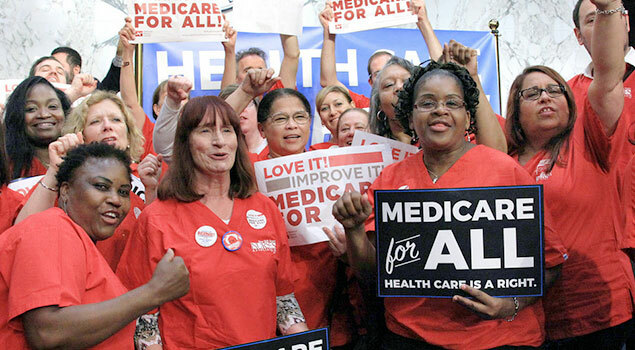 Because nurses work directly with human beings when they are in their most vulnerable, least dignified of states, nurses have a special vantage point into how to fix our broken healthcare system. This workshop develops, deepens, and broadens this vantage point by preparing nurses to (1) connect their experience at the bedside to the dire need for a more humane healthcare system based on the needs of their patients and not on private pain and profit; and (2) expand their patient advocacy beyond the bedside and into the public sphere.